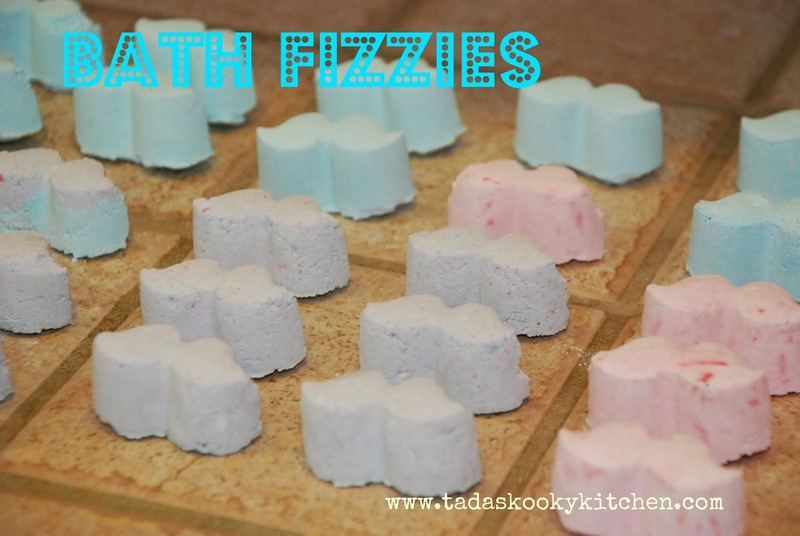 Have you always wanted to make your own bath fizzies? 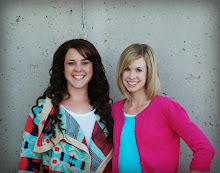 Well we thought it would be fun to do. I had pinned this on pinterest back in December because we had planned on making these as Christmas presents, but, you know, life gets crazy sometimes. So we decided to make them for Valentine's Day instead. I think they turned out pretty cute. In a large bowl, mix baking soda, corn starch and citric acid. Now at this point you should decide if you want your bath fizzies to be one color or several. Each of my kids wanted a different color so we divided the mixture evenly between 3 smaller bowls. Each child added 3-4 drops of the color they wanted and 4 drops of essential oil. Then using the spray bottle, spray water a little at a time into mixture, then stir. You don't want to spray too much water at once because it will fizz up. Spray a little at a time, stirring in between until you have a mixture the consistency of damp (not soaking wet) sand. Just enough that when it is pressed together it sticks. Once you have it to this point, press your mixture firmly in the mold. Then let it dry overnight. Remove from molds once it's dry. Enjoy! 2. If you get your mixture too wet and then try to press it into the mold it will fizz up. This happened with the first batch we made so I went back and added a little more corn starch and baking soda to it to make it less sticky and it worked much better. The other batches worked just fine once we figured this trick out. 3. Rubber molds are best to use for the bath fizzies since they can be a little tricky to get out of the mold once they are dry. For our valentines we bought the 50 count, Wilton treat bags found at Walmart. Then we printed our valentine toppers and stapled them on. 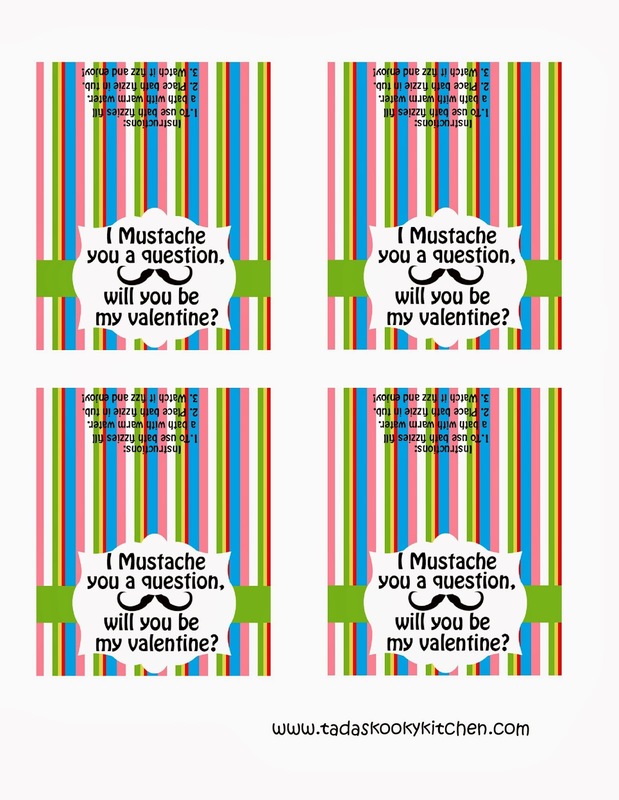 My kids are very excited to hand these out to their friends for Valentine's Day. You can also get citric acid on amazon.